Now that all of the amazing music is essentially mastered for our indie game A Tofu Tail, Tom is planning on releasing the tracks of the soundtrack up on Bandcamp! We will have more details on the actual releases for everyone incredibly soon… so for now, keep your eyes peeled and ears open! 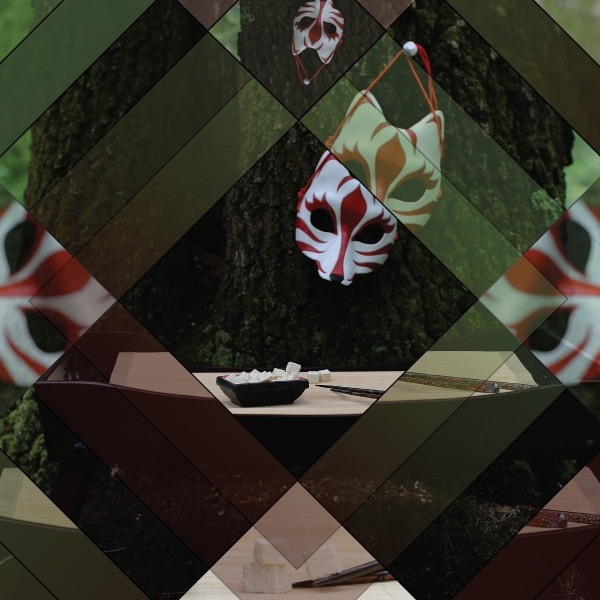 Jess Sell has pulled out her design expertise to produce this beautiful album cover art for the official A Tofu Tail original soundtrack! 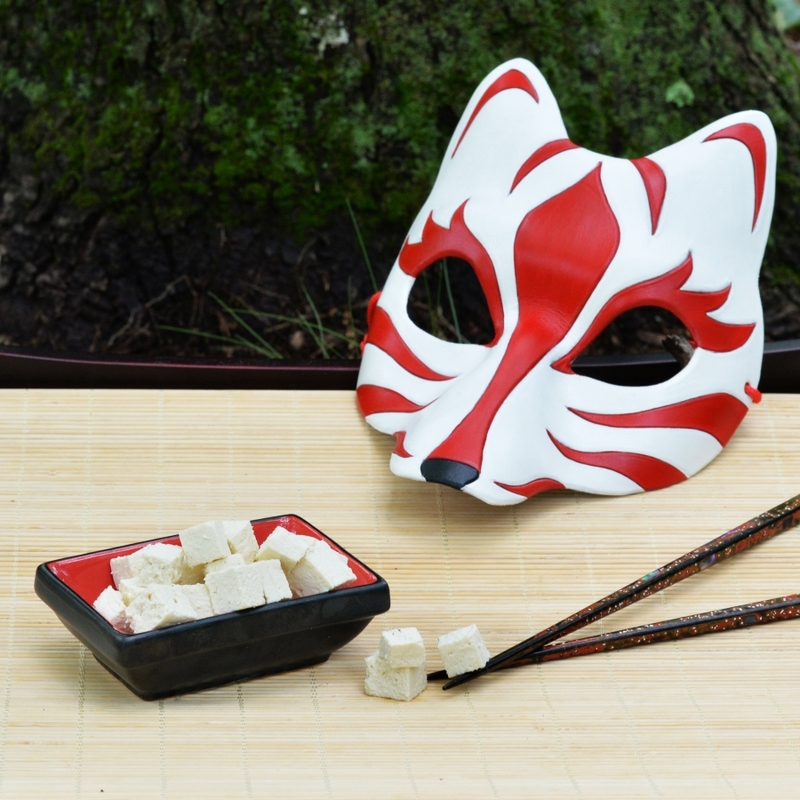 Jess has graciously taken these awesome photos of our Kitsune mask and tofu friends for use in the album cover (seen below). 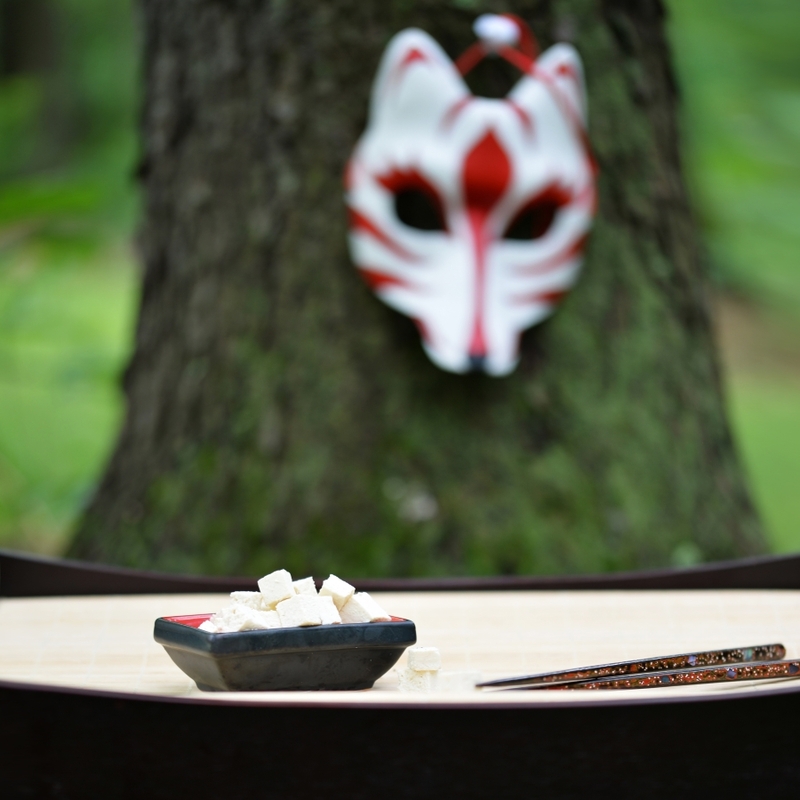 These photos are a sort of homage to the beginning of the A Tofu Tail story, where the wandering woodsman is turned into tofu by the Kitsune woman while deep in the forest. 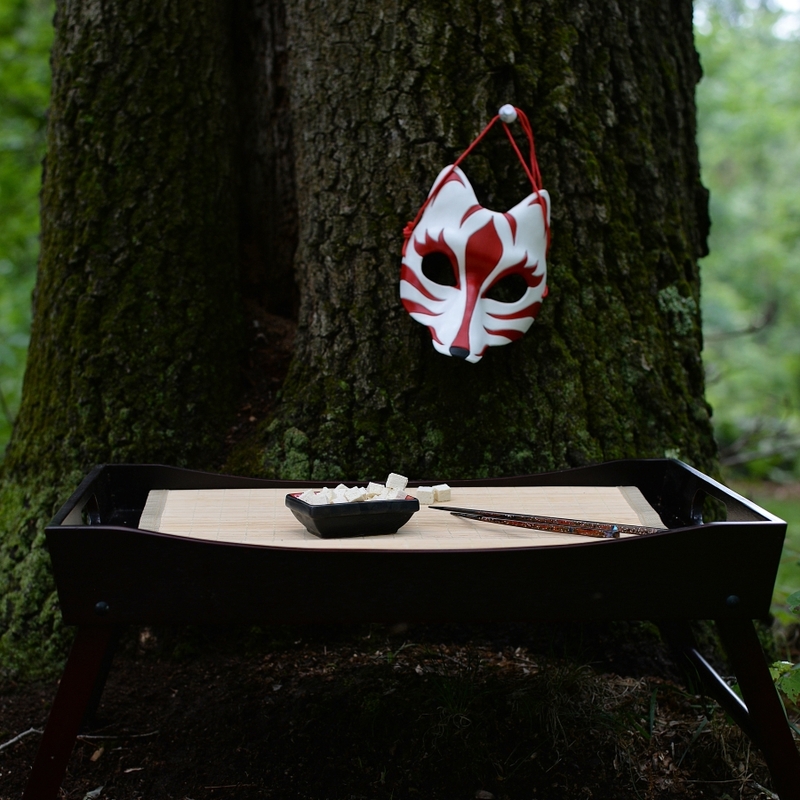 Oh, and something else that is awesome: we would like to mention that we also have a sweet Kitsune mask (Seen in these photos) that was designed and produced by Andrea at Merimask – go check out her work; it is fantastic! As mentioned, be prepared for the release of Tom’s awesome magical musical genius coming up super shortly! 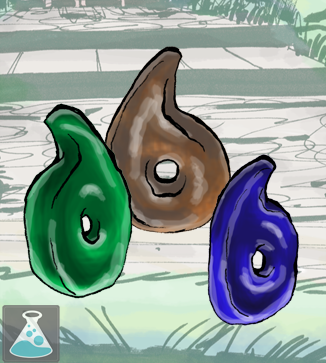 Last but not least, we posted a new page to the alchemedium lore page: the Magatama Jewels! The Magatama Jewels are magical relics from ancient lore that can mysteriously imbue the user with enhanced power, strength, and abilities. 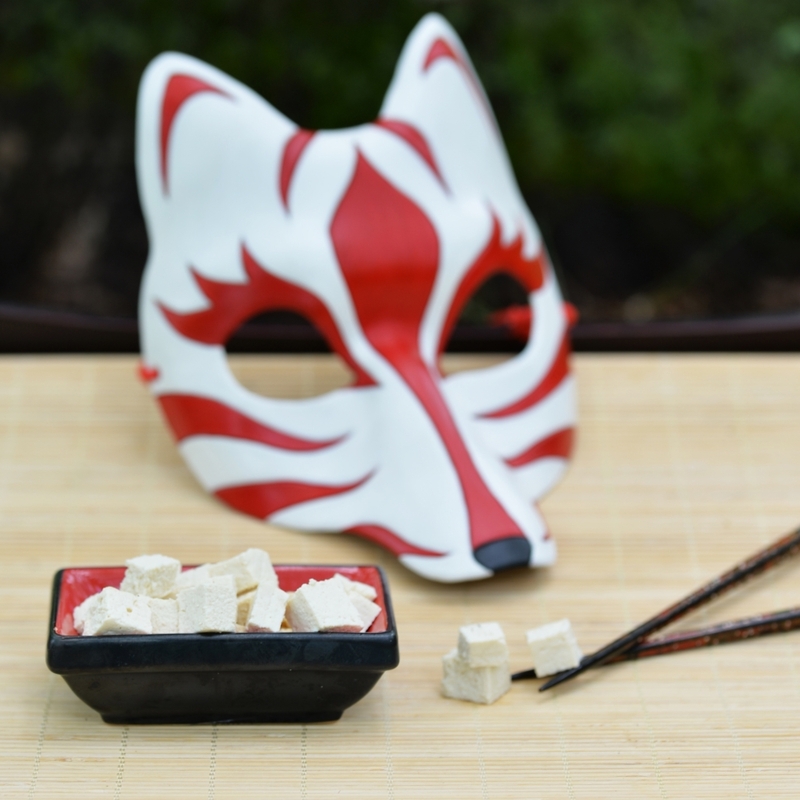 They are the main driving force for Mr. Tofu’s folly and actions throughout the story of A Tofu Tail.